Vgo... high breathability Synthetic leather gardening gloves will shield your hand from dirt, cuts, scratches, rose thorns and any nasty weed prickles. The synthetic leather with slicon printing palm adds extra anti-slip protection and resistance to wear.Two layers stretch-spandex back offers comfort while the open cuff gives an easy slip-on action. dimentional pre-curved fingers design added the flexibility. 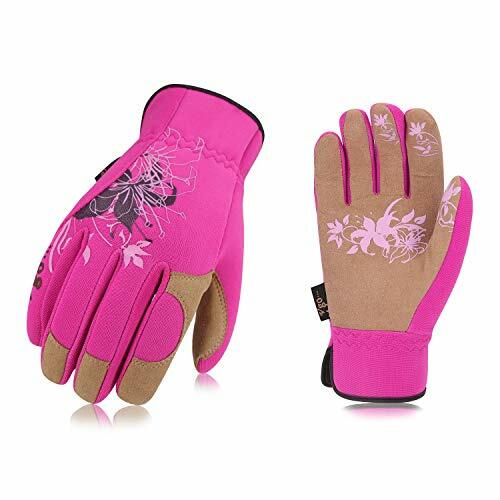 It is ideal for planting, digging, cutting, heavy-duty pruning, raking and shoveling, including tasks that require a high level of sensitivity in the fingers like grasping seedlings and small objects. Manufacturer: Laborsing Safety Products Inc. Publisher: Laborsing Safety Products Inc. Studio: Laborsing Safety Products Inc. If you have any questions about this product by Vgo..., contact us by completing and submitting the form below. If you are looking for a specif part number, please include it with your message.